The Objective Explorer can generate preset views and create custom views. 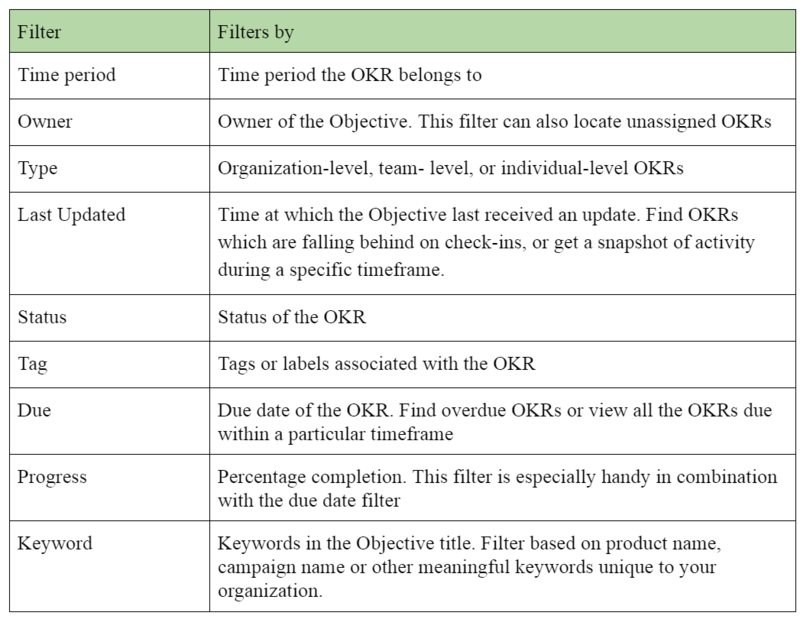 Use the OE to filter out OKRs of interest, and save commonly viewed filters to quickly access them again in the future. Ally allows you to create custom views and save the filters you use often. 2. Your new view can now be customized by adding filters. By default, Views list out objectives and key results. To view only top-level objectives, check the box in the upper right-hand corner. Save and export views for future reference or to share insight with your team. To save a view, click on the ‘Save View’ button in the upper right-hand corner. You will be prompted to name the view and select a sharing option. If you’d prefer not to share the view with your team, you can change the security setting to ‘Only Me’. Hit save to save your view. You should now be able to find the saved view in your objective explorer. If you made it available to everyone, they will be able to find it here too. If you’d rather export the view, select Actions -> Export from the top right. A csv file will be emailed to your account. You can also remove the view from here if you’ve saved it and are now done using it. 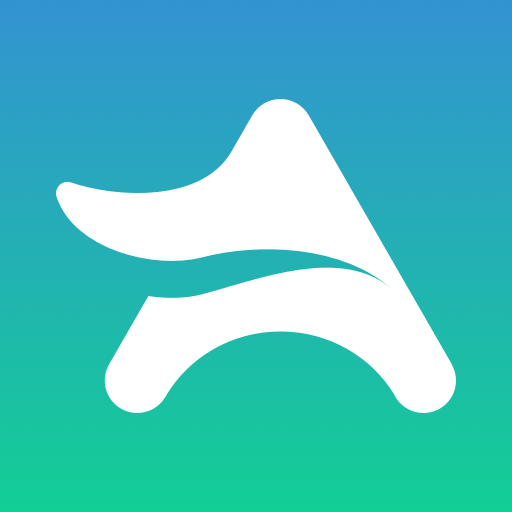 The objective explorer makes navigating and forming and sharing insights a breeze. Go on and get exploring! If you have more questions, check the objective explorer FAQ to see if your question has already been answered.